Reliable towing from the company locals trust! Creek, Moraga, Martinez and Surrounding Areas. We're there to help you quickly! B&D Towing has more than 30 years of experience and a team of certified towing professionals at the ready. We safely assist with towing in the tightest of situations. If are stuck in the mud, have broken down, have had an accident, or someone is in your assigned parking space, we are here 24-hours a day, ready to help. Our fleet includes a wide range of tow trucks, from winch recovery to flatbed towing so we can tow everything from a motorcycle to a fifth-wheel. As a locally-owned business, we have a reputation as a trusted towing company. Check out our reviews and you will see that we have been around and have established a positive reputation in Walnut Creek by delivering quality service, one customer at a time. 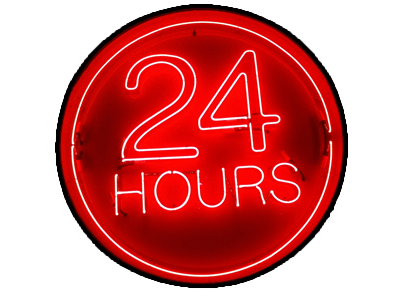 And with emergency towing available at any time of the day or night, we’re here for you whenever you need us! We are licensed, insured, and our drivers are trained to handle the job that has been dispatched to them. In addition to affordable towing, we also offer roadside assistance for everything from getting locked out to fuel delivery. Just describe your circumstances to our friendly dispatcher and we will quickly get someone to you with the exact type of assistance you need. We get to you fast, and we come prepared! We understand that your vehicle is important to you. It is an investment and we treat it that way. We work quickly, yet carefully to ensure you and your car are transported to the location you chose. Our methods have proven to be safe, time and again. Call 24/7, 365 days a year for a trusted towing. Help is on the way!